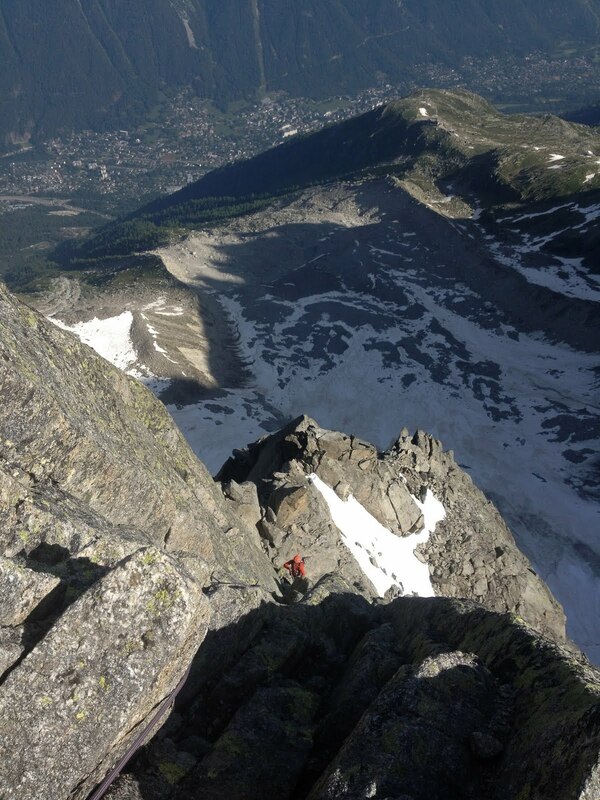 It has been a fantastic summer for climbing in the Alps. 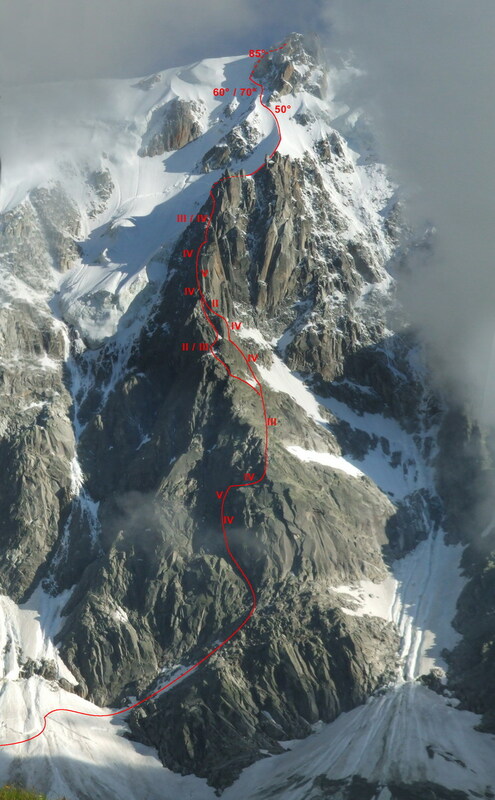 A big winter and continued spring snowstorms put the glaciers in good shape, and unusually long periods of high pressure during July and the start of August have allowed for fantastic climbing conditions. With a solid American client coming to Chamonix for a few days of climbing and a good forecast we decided to go for some bigger objectives. First up was the Chere Couloir up to the summit of Mont Blanc du Tacul at 4248 meters above sea level. 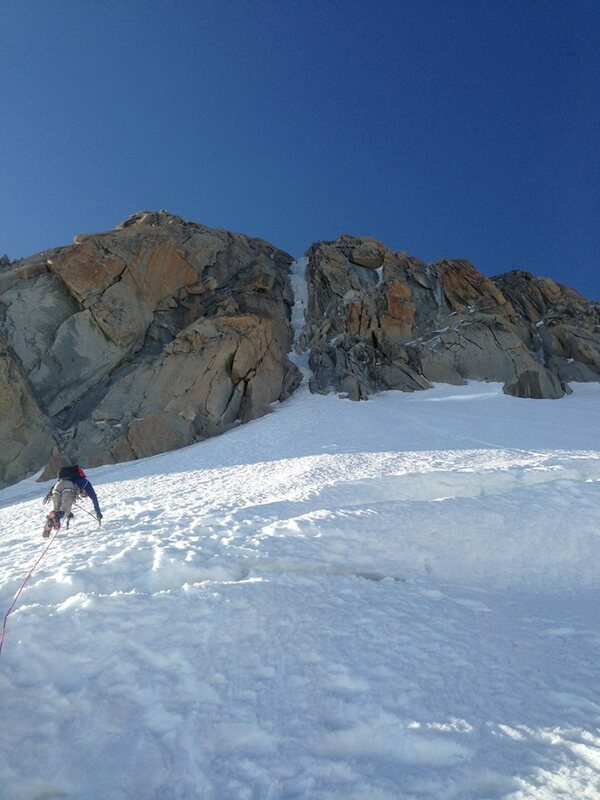 6 pitches of some of the best ice climbing around followed by 4 pitches of M-3 rocky/snowy/icy ground takes us to a beautiful 55° snow arete and through a short rock bump to the summit. 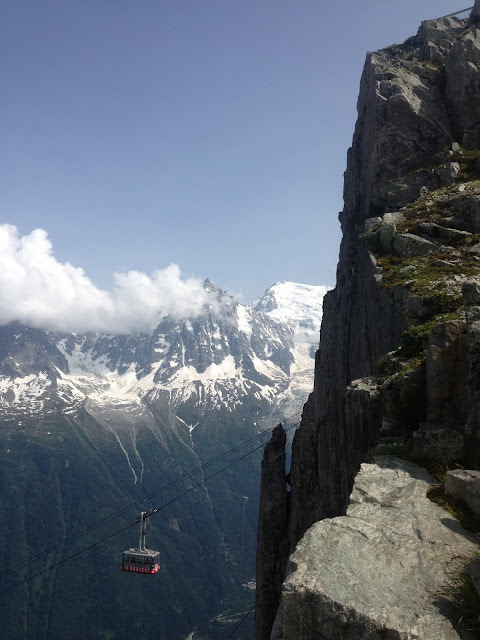 Top of the classic Frison Roche with the cable car coming to pick us up! 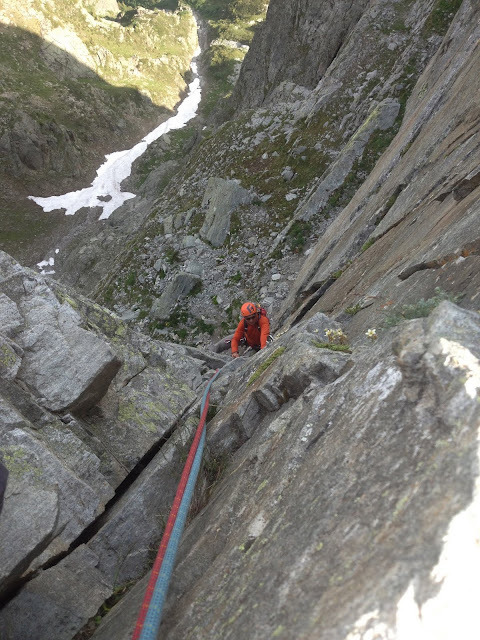 The next day we went for some fun and casual rock climbs on the Brevent in the Aiguille Rouges. The climbing here is excellent, mostly bolted and the 20 min approach via cable car can't be beat! With a solid weather forecast, a planned rest day and perfect conditions in the mountains I threw out the idea of going big on the Frendo Spur. This classic alpine route leaves from the mid station of the Aiguille du Midi tram and climbs the north facing rock and ice buttress to the tourist platforms at the top of the lift with over 1200 meters of climbing up to 5.8 rock and 80° ice. Going light and fast in the mountains is the key to keep from bivying! 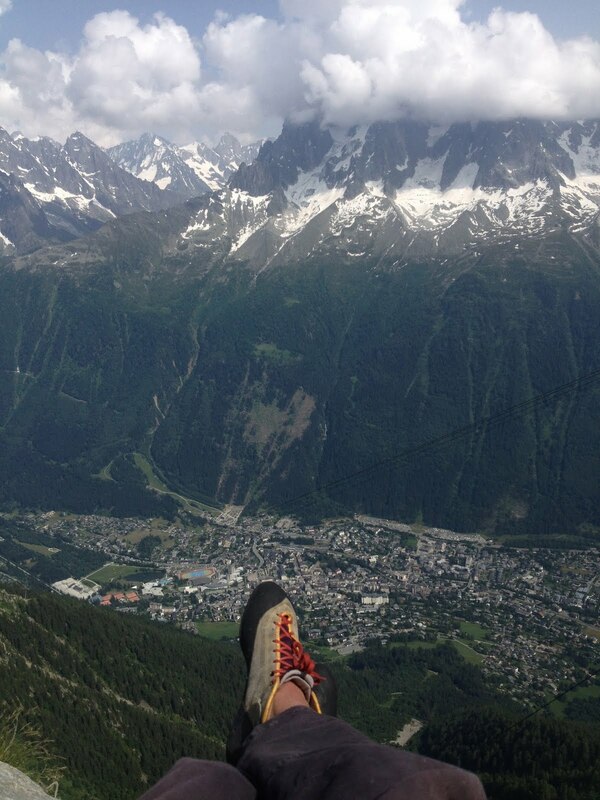 Mammut Moses biners, Zephir Altitude alpine harness, dyneema slings and Tripod helmet help keep the gravity off of me! We headed out early, walking the hour long approach in the dark. 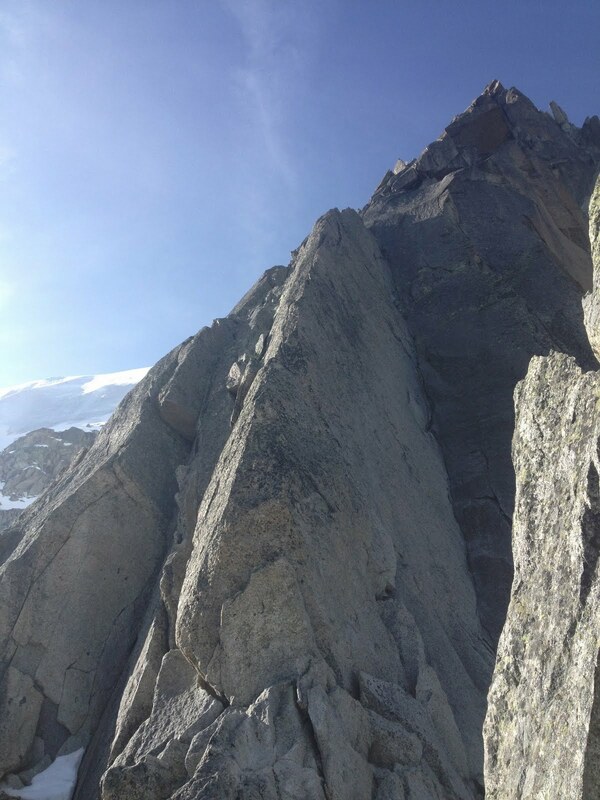 Even though the route faces north, the upper pitches get early sun and it is best to get there before the ice and snow get too soft. After a lot of short roping and short pitching, we got to the longer, more technical rock climbing on bullet granite following great cracks. 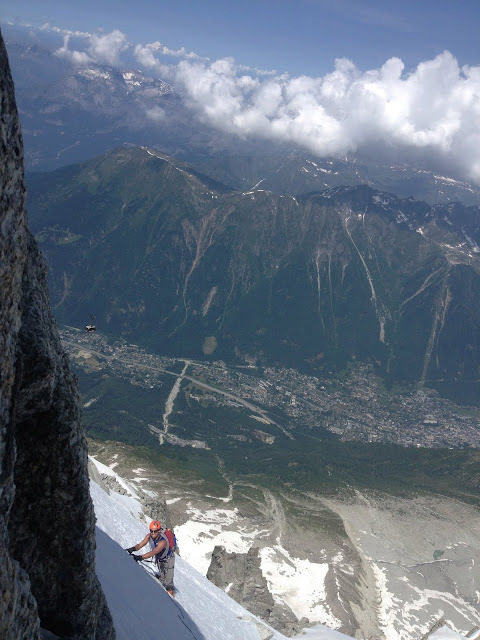 My Mammut Serenity 50m rope was perfect for this climb. Light, good handling and dry treated kept it from becoming a snarled mess after a long day of varied climbing. Ice climbing at 3600 meters in t-shirts! 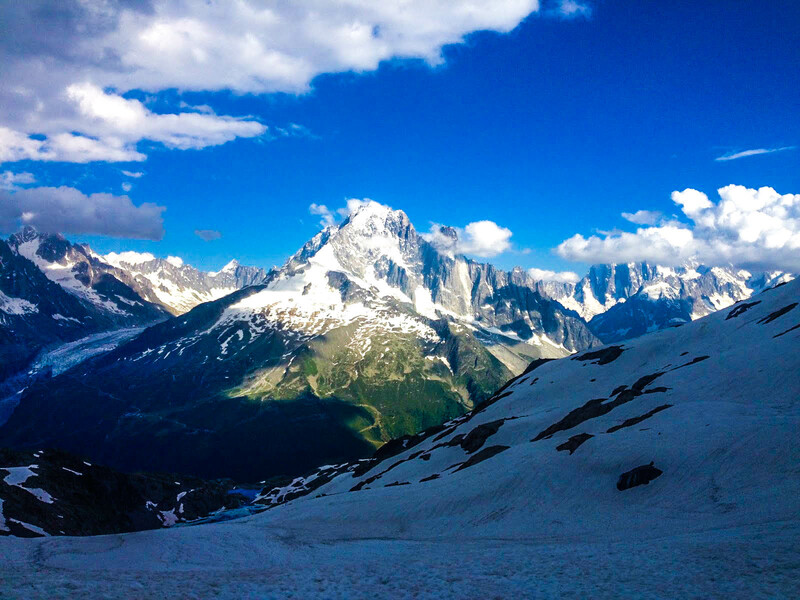 With a few other good climbs in already and a continued good weather forecast, there will surely be more to come!